It’s that time again. Time to bust my slow cooker out of the high-up shelf where I put things I don’t use super often. (I should use it more often though as it’s a great way to cook in the summer without heating up your kitchen the way turning your oven tends to do.) 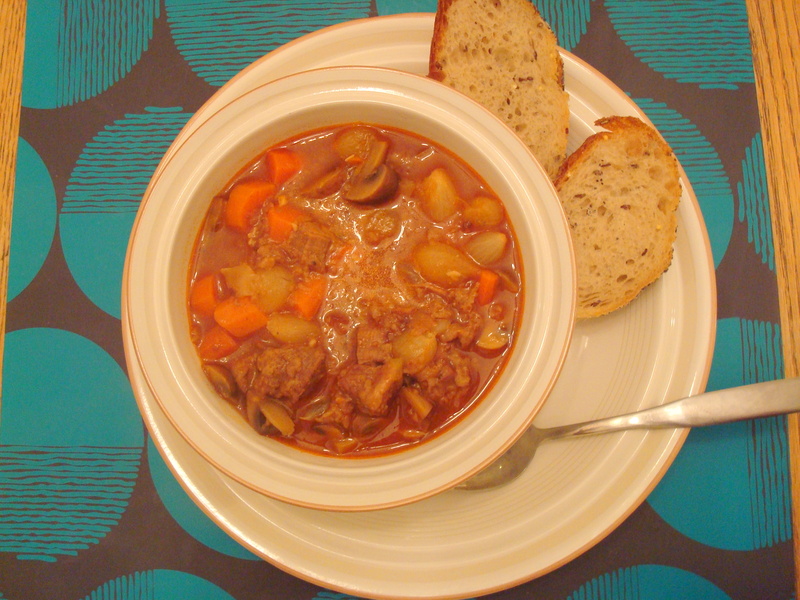 This time I decided to make one of my all-time favorite fall comfort foods: beef stew. My grandma used to make a really good beef stew when I was growing up and this recipe reminded me a lot of hers. I’m pretty sure my grandma didn’t drop a garlic/ginger skewer into her stew, but it really did add nice flavor to it, so much so that I am thinking I might start dropping garlic/ginger skewers into all soups and stews going forward! Coat 4-quart or larger slow cooker with cooking spray. Place garlic and ginger on skewer or wooden pick. Set aside. Combine flour, salt, paprika, and pepper in large ziplock bag. Shake well. Toss half of the beef gently in bag to coat. Remove meat, shaking off excess, and then repeat with remaining beef. Heat oil in large skillet over medium-high heat. Brown beef on all sides, 5 to 7 minutes. 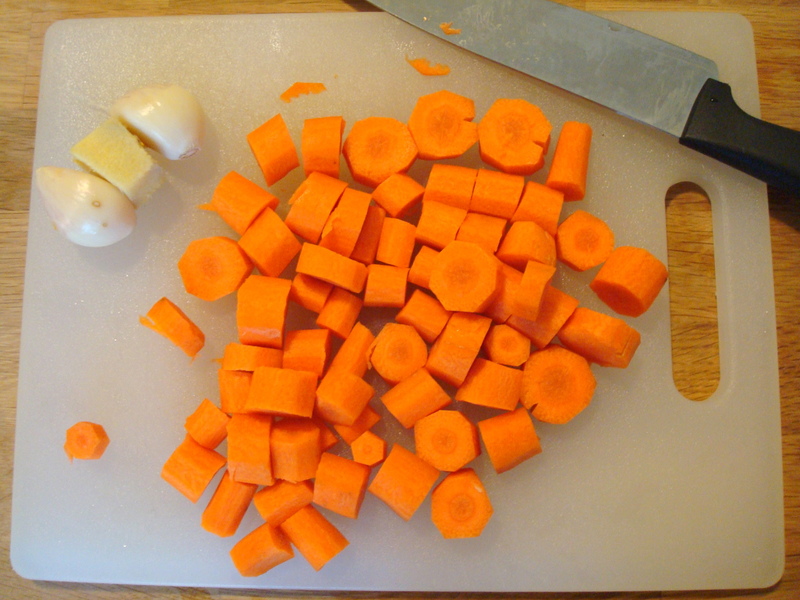 Transfer to cooker and top with onions and carrots. Mix broth, wine, and tomato paste in bowl and pour into cooker. Drop in bay leaf and ginger-garlic skewer. Cover. Cook on low 4 to 6 hours. 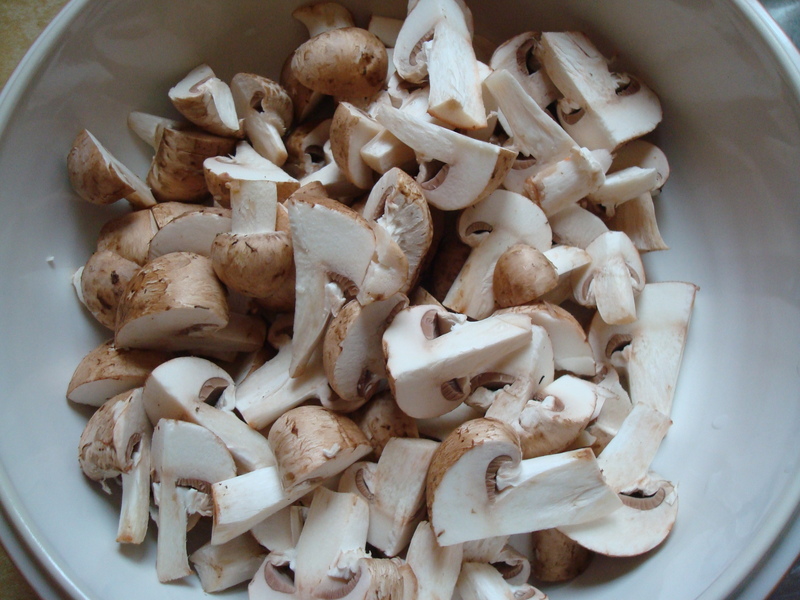 Add mushrooms and cook 1 to 2 more hours, or until meat is tender. Discard skewer and bay leaf before serving.